One of the suggested methods of buying a crystal requires that you look at a crystal and see if it “vibrates” with you. All crystals vibrate at their own frequency and some people are sensitive enough to feel these vibrations. Holding or placing your hand on a large piece of clear quartz crystal is a good way to develop your sensitivity to these vibrations. Sometimes a quartz may give off a regular pulse of energy; you may feel others as being very cold in your hand, or even warm. Some crystals may produce a tingling sensation on your skin. Generally a crystal that will be beneficial to you will feel right to you even though you may not be able to describe the sensations it creates. Look through a large number of them until you find just the right one. This works fine as long as you wide variety to select from. This is a simple way to seek answers from your subconscious mind. You can hold a pendulum over the top of a crystal and ask “will this crystal be beneficial to me?”. Another way to use the pendulum, if you are considering a large choice of crystals, is to pass it over the top, and look for any circular motion in the pendulum above a particular crystal. If you do find the pendulum reacting over a particular stone, hold it over the stone directly, and ask a question. Crystals given as a gift are a precious experience, and as you start to use crystals more, you may begin to find crystals, or rather, they find you! It is not uncommon for these crystals to be just what you need at that given moment. It is also not uncommon to lose crystals, and although this can be upsetting when your favorite goes missing, it is usually an indication that the crystal has served its purpose in that situation and is no longer required. This is particularly so with “Record Keepers” and “Window” crystals. Another method to purchase a crystal is buying whatever crystal that is available to you. You may also get one as a gift. In either of these cases, you will be “bonding” with the crystal and that provides the “tuning” of the crystal to your “vibration“. So it isn’t all that critical that you find the “perfect” crystal when buying one. Don’t worry. As with all purchases relating to spiritual growth intent is crucial, and you may need to acknowledge that the time isn’t right. If nothing strongly appeals to you, accept that the time is not right and come back on another day when perhaps a crystal will plead with you to take it home. Beware of buying crystals purely because that is what you set out to do as this could result in a collection of crystals unsuited to your needs and lacking meaning. Expect the Unexpected – I often set out to buy a specific crystal and end up purchasing something completely different. Be prepared to have your unconscious lead you to a different crystal. The unconscious or higher self doesn’t get involved with life’s day-to-day clutter and thus can get straight down to the business of selecting the most appropriate crystal for you. This is why the best approach to choosing a crystal is to quieten your mind and simply do what feels right. Crystals can collect various forms of energy from emotions, thought, touch, and many other sources. When other people handle your crystal, they leave their energy imprint on the crystal. This isn’t “bad” however, in order to make your crystal truly yours, we suggest that you remove the stored vibration. This is known as clearing the crystal. A wonderful Native American method of clearing is to burn cedar and sage leaves and pass your crystal through the smoke. Cedar and sage may be purchased in most shops that specialize in herbs. 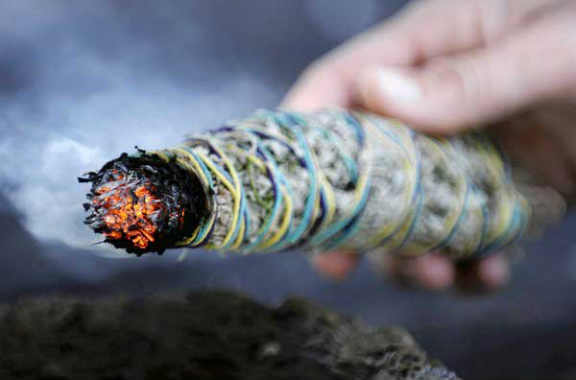 You can also use a smudge stick,which combines cedar, sage, and often other herbs. This method is excellent for clearing your crystal as well as yourself and your environment. We prefer it for clearing jewelry. Hold the crystal in your dominant hand, or if it is large, in both your hands. Focus your thoughts on the crystal with the intention that it will become free of all negative energy. As you hold this thought, inhale through your nose and exhale forcefully through your mouth. Your breath carries your intention to clear your crystal. When we consciously work with crystal we can accomplish anything that the mind can imagine. Crystals have been helpful in improving memory, helping plants to grow, healing animals, contacting spirit guides, and in communicating with the animal, plant and mineral kingdoms. Affirmations are one of the most powerful methods we can use to change the quality of our lives and to create the things we want. An affirmation is a declaration or a thought which creates a desired result. To affirm means to make firm.” What we think or believe about ourselves and the world becomes our reality. Pay attention to your affirmations, not only to avoid rote-like repetitions, but to actually hear what you’re saying. Joyce once realized that her affirmation, “I have an unlimited number of valuable ideas” had turned into “I have an unlimited number of limiting ideas.” This was a valuable, if depressing, discovery. We have been giving ourselves affirmations all our lives – only we weren’t aware of it. Anything we say or think to ourselves is an affirmation. Anything anyone else says to us is an affirmation if we accept it and believe it. When we’re not aware of the process and the power of that which we think and believe about ourselves and our world we affirm a lot of things which don’t serve us well. Becoming aware of these unconscious affirmations is the first step to dissolving them. Be conscious of your negative thoughts. One way to do this is to create a positive affirmations for example, “Abundance comes to me easily.” Your helpful mind will quickly come up with a list of reasons why this isn’t going to happen. • It never did before. • Some people aren’t meant to have money. • Why should I get my hopes up? • No one will ever ask you for money. • You’ll never have to worry about suddenly losing your fortune. • You won’t have to feel guilty that others have less. Another important aspect is the visual image we create to accompany the words. If we want to create a vacation in Hawaii we visualize palm trees, beaches, blue skies, warmth, etc. (It can be very helpful to look at the pictures in a travel brochure, and some people like to make a “wishboard” with an arrangement of photographs which represent whatever they’re creating). A third (and perhaps most important) aspect is to create the way we feel when our special dream comes true. For a Hawaiian vacation you may feel relaxed or excited and stimulated to be in a new place. If you’re with someone you love you may feel increased closeness or a heightened sense of romance. If you have difficulty in visualizing or feeling the reality of your affirmation go back to the section on discovering negative beliefs. 1. Hold the crystal in both hands and gaze into it, making contact with the crystal. 2. Start breathing with deep long breaths, inhaling through your nose and exhaling forcefully through your mouth. 3. Concentrate on what you want to program into the crystal„ a new job, good health, a better relationship, etc. As you inhale, see a visual image of what you want; imagine how it feels to have it, and repeat an affirmation to yourself. 4. With each exhale send your desire into the crystal. 5. Your intention has now been programmed into the crystal. This vibration is stored in the crystal until you clear it and replace it with a new intention. One of the most powerful methods of programming that we’ve discovered is to write your intention on a piece of paper and, after using the above method, place your crystal on the written note and leave it there. We did this when we were searching for the perfect spot for Crystal Gardens. We placed a programmed quartz cluster on a map of Greenwich Village along with a note requesting the size and rent we wanted. It worked! Seth, the entity channeled by the late Jane Roberts, often said that he had only one rule for changing one’s life. That was: The point of power is in the present. When we concentrate on the present, we experience our aliveness, the strength of the energy which flows through us. We learn to recognize that energy as power, the raw material with which we create ourselves and our worlds.well as yourself and your environment. We prefer it for clearing jewelry. Sometimes, while swimming or walking, we silently repeat affirmations. To do this, repeat each affirmation three or more times, focusing on the instructions you’re giving your mind, visualizing that you are prosperous, or thin, or loved. We recommend physical exercise not only for its own meditative values, but because it discharges excess energy, the kind that creates worries and anxieties which can prevent us from being relaxed and at peace when we want to practice passive meditation. You may want to start off with a guided meditation tape. This will help direct your mind into appropriate channels. You can also direct passive meditation by silently repeating affirmations. When you feel comfortable with these forms of meditation you can begin to guide your meditations. We like to listen to meditation music (which can be any kind of music which makes you feel relaxed and calm) on a mp3-type device. This is especially helpful when garbage is being collected, fire engines are blaring, or strangers have entered your life by having a fight outside your window. Concentrate on your breathing, following each inhale and exhale, feeling energy flowing from your feet to your head and back. Do this for as long as you can. If you find yourself wondering whether you’ve paid the rent, or thinking about what you’ll have to eat when you’re finished meditating, let those thoughts drift away. It may help for you to imagine that you have a feather duster with which to brush them out of your mind. You’ll find that your ability to meditate improves with practice. In passive meditation, you’re developing psychic and mental muscles. As you learn to silence distracting thoughts, you’ll begin to receive messages from your intuitive mind: new ideas, creative solutions to problems. The simplest way to introduce crystals into your meditation is to hold a clear quartz in one or both of your hands. To receive light and energy, hold the quartz with point facing you. To project your wishes into the universe (as when you’re repeating affirmations), face the points away from you. 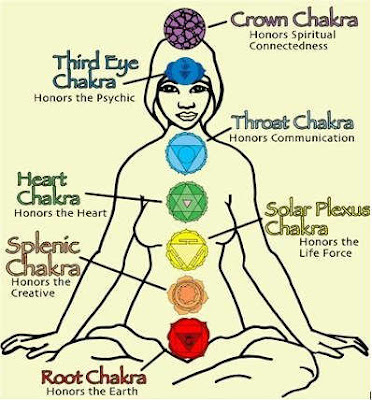 These seven chakra points can be further activated by slowly rotating a quartz point over them. If you find that, despite your best efforts, you’re still worrying when you want to be meditating, place an amethyst on the third eye. If you’re feeling extremely depressed or spaced out, hold a smoky quartz. 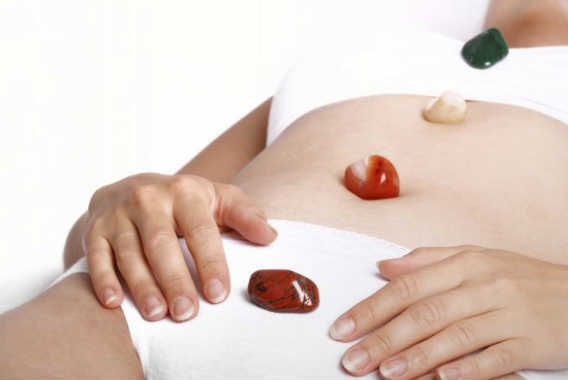 Before long you’ll discover that you intuitively know what stones you want to be with on a particular day. gives us the best results. After working with crystals and the ideas presented in this article, you may notice that you are developing a new consciousness, a new belief system which stretches the limits in which you were living before. There is a new inner freedom in which anything becomes possible as long it is in harmony with your deep heart’s core. This is the gift crystals give us.